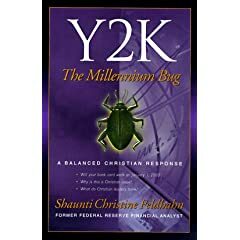 It's amazing how many books, videos, and audio tapes were rushed into print before the year 2000 to cash in on the Y2K fears. And I was also surprised to see how many were from a Christian perspective. I'm not sure how the fact that some computer programs only had space for two digits instead of four meant that the End Times were nigh, and I even listened to all of the two-cassette audio book I've posted here. But some of the most prominent Christian leaders in America such as Jerry Falwell and Pat Robertson released Y2K merchandise. These audio tapes feature dramatic! action! scenes! straight out of a disaster movie, as well as discussions on surviving the mayhem, and how YOU as a Christian can help in the coming crises. Because: 1) it's the holidays 2) I'll be getting a new computer/internet provider soon; which provider I don't know yet, so I've got that to sort out. 3) Baby Fab will be born in month or so; my life will be a little topsy-turvy for a bit, I imagine. Did you know that it was once possible to be a pop star without ha ving to play the guitar? Or with electronic production? 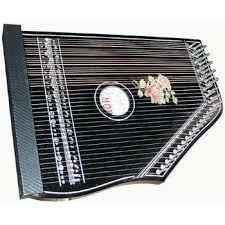 You could get a major label deal by playing, say, a zither. 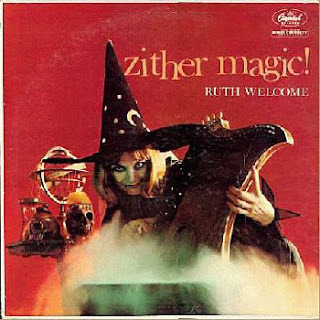 Exhibit A: Ruth Welcome, whose 1950s zither albums for Capital Records display remarkable virtuosity. Listening to her "Zither Magic" album, one might be surprised to realize that there are no other instruments. She's a one-(wo)man band. On this album, the bended notes suggest Hawaiian guitars or exotica without actually being exotica or Hawaii an music. But there is a foreign, if not other-worldly feel to these instros. The zither is played with plenty of energy, but there's still a mellow feel to this album, perfect for holiday cooling-out with a glass of warmed spiked eggnog. And none of it sounds like "The Third Man" theme. Featuring "It Might As Well Be Spring," "Hawaiian Wedding Song," "Vaya Con Dios," "I Talk To The Trees," and the Dean Martin classic "Memories Are Made of This." You may not get many groupies playing arena rock with a zither, but at least one contemporary pop combo uses one: Taxi Taxi!, two 19-year-old Scandanavian sisters on zither and accordian. They have a new version of the American folk standard "My Darling Clementine" featuring their dad on pedal steel guitar that is being used to promote a Swedish clementine fruit drink. Quite lovely, reminds me of The Cowboy Junkies, if anyone remembers them. 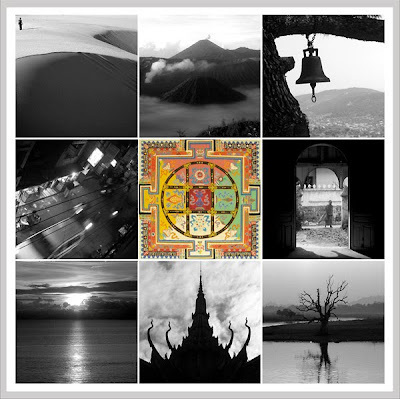 "9 Countries was recorded on location in Indonesia, Thailand, Cambodia, Laos, Myanmar, Tibet, India, Egypt and Greece between October 2005 and March 2007 by Tom Compagnoni. What you hear has been entirely assembled from these field recordings, no additional samples used." Australia's Wax Audio made a splash with his politically-themed sound collages that even graced commercial talk-radio airwaves, as well as his party-ready mashups. But this production, literally years in the making, blows all that stuff out of the water. For one thing, the sound quality is amazing. No more hissy tape recordings in the field. And it rocks - it isn't just the New Age ambient wallpaper so often found in the well-meaning-but-dull "world music" crowd, but assembled with a pop musician's ear for looping compelling rhythms. The mixing of various sounds, voices, and beats is smoothly blended - all the laws of mashups still apply so far as getting everything on time and in a compatible key. 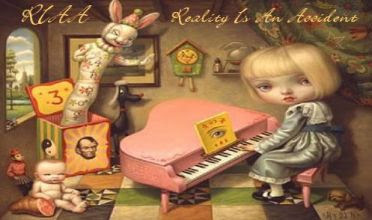 It's a trip - literally. You'll hear things like airport announcements, tv audio snippets, and street dialogue, which can get pretty funny. By leaving in the goofy stuff that one actually encounters while traveling, he gives it a personal touch, so that it doesn't feel like a generic National Geographic special. He took plenty of good pictures, too. They both have excellent albums, but obviously seeing them live makes more sense. Check the videos on their sites. 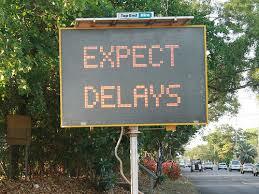 Of course, when the order is given to hit play, not everyone's in perfect synch. And that would be boring if they were. Like Terry Riley's 1966 Minimalist landmark "In C," the whole piece seems to be in the same key, and alternates from smooth ambient passages to more upbeat rhythmic ones, so having multiple versions going at once starting at different times doesn't create cacophony - it adds richness. It's a unique performance every time, depending not only on how many copies of the piece are playing and when they started, but where the audience is - everyone involved is in a different geographic space so the sounds will hit everyone's ears differently. Since its 1992 debut, "Unsilent Night" has become something of a holiday standard. It's happening in 25 cities this year, some still yet to come as of this writing, so check da site for a location near you. Apart from it being lovely music, I think it's a way to add to the warm fuzzy feelings the holidays can bring about in us. 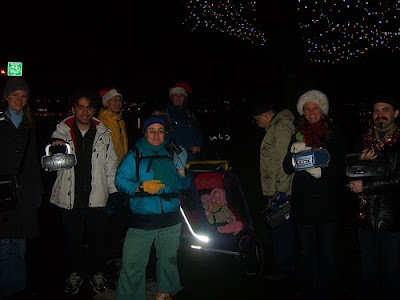 A communal event in the cold cold night, but not the same ol' caroling-in-Victorian-costumes routine. The end part of my recording even suggests church bells ringing, or chimes, while avoiding all Christmas music cliches. You and your friends can buy your own copies, and host your own event, I suppose. Did anyone else out there go and take pictures? The above photo was just one I found on the web from a different staging of "Unsilent Night." Klezmer and polka mixed with bangin' electro beatz as compiled by Boston's legendary dj BC, and, despite what your mother says, it really is a shtick naches (a great joy). My new fave holiday collection and I'm not even Jewish. Look, I made o ne too! From this new collection of all my old Christmas mashups/cut-ups/remixes featuring such future holiday standards as "The Six Million Dollar Man & Santa Claus Fight Global Warming," "Little Saint Grinch," "Santa's Acid Hawaiian Space-Disco" and the previously-unreleased "Slay Ride" that features Cheech and Chong, NWA, and Wild Man Fischer, with Nine Inch Nails joining the Chipmunks. And People Like Us' "Sound of Christmas," recently added to the Free Music Archive, is a real trip, starting with what could be someone throwing on some very entertaining kitchy thrift-store Xmas records before the drugs slowly start to kick in and everything gets all weird and psychedelic. Yep, the Father of the Antique-Garde hits the big Six-Oh, and to celebrate, here's some rarities that actually rate among my fave recordings of his, and they've never even been released. "On The Nickel" is a gorgeous, touching piano ballad about homeless kids on LA's Skid Row. I actually work on 5th Street ("The Nickel") not far from Skid Row. I think of this song often. This live-on-tv version completely blows away the overblown album version from 1980's "Heartattack and Vine". Recorded off my old video. "Table Top Joe" - This weird ode to a sideshow freak who becomes a Vegas star is in a totally different form here then the basic jazz band arrangement of the album version (2002's "Alice"), a solo demo of Waits singing along with an experimental plucked thingie, kinda like an African mbira. 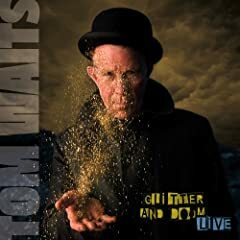 "The White Knight" - beautful instrumental version of "Fish And Bird", from "Alice"
Waits has a brand-new album out now, "Glitter and Doom - Live." I like the band name 3 Leg Torso - it reminds me of bad sci-fi movies like "The Thing With Two Heads," and of circus sideshow freaks. And a band featuring accordions, violins, and hand percussion (no guitars, no electronics) probably would fit right in with an old-fashioned traveling circus. As the tunes here, and on their MySpazz page make abundantly clear, this Portland quintet's instrumentals are quite lovely, haunting, and sometimes maniacally danceable excursions into avant-tango/Balkan/cabaret all on their own. But throw the monologues of David Greenberger into the mix and you have something else - a curious kind of radio theatre. Greenberger is the man behind the 30-year-old "Duplex Planet" empire of 'zines, books, comix, and music all based on real interviews with nursing home residents. The Torso's music necessarily takes somewhat of a back seat to Greenberger, but shades and enhances the stories - some sad, many funny - like a film score. 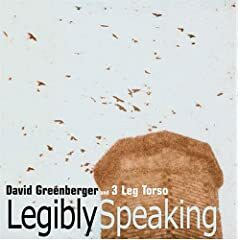 Greenberger has worked with other musicians (his recent "Growing Old In East LA" radio project features music by members of Los Lobos), but he's done two full albums with 3 Leg Torso, "Whispers, Grins, Bloodloss and Handshakes," (2005) and 2004s' "Legibly Speaking." David Greenberger & 3 Leg Torso: "Miss Dog Miss Me"
David Greenberger & 3 Leg Torso: "Perpetual Motion"
From France, the land that gave us Roger Roger and Jean-Jacques Perrey, comes an equally nutty band of 'tard-tronic pranksters, Thiaz Itch, whose album "Binjoum" is available as a free download courtesy of the whimsical Proot 'net label, who also sport releases from Ergo Phizmiz and satanicpornocultshop. 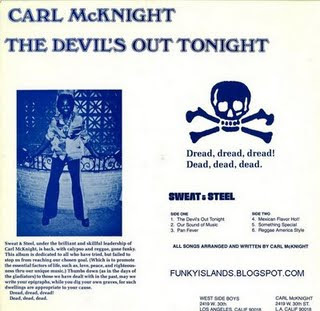 If the Carl Stalling song I posted a few days ago whetted your appettite for more cartoonish foolishness, then you will want to proceed immediately to Proot-land and grab this short 'n' sweet collection, which also boasts a Syd Barrett cover, a Mozart re-working, and a couple of calypsos that sound more like the Residents in a Carribean mood then anything you'd actually hear in Trinidad. 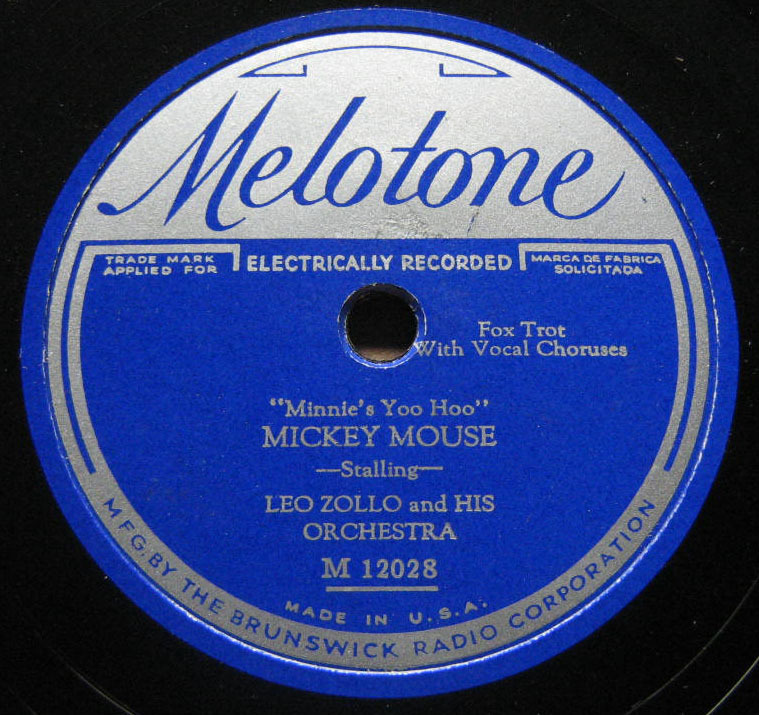 Here's something quite wonderful that I found on the CartoonBrew blog: a song that is not only one of the first Disney-related records (from 1930), but also perhaps cartoon music god Carl Stalling's first record. It's not the manic Looney Tune type of thing he's famous for, but it's still a fun bit of 78 rpm wonderfulness that Bonzo Dog Band fans should eat up: the second verse is sung in a particularly strange voice, accompanied by appropriately cartoonish sound effects. And dig that jammin' xylophone solo! 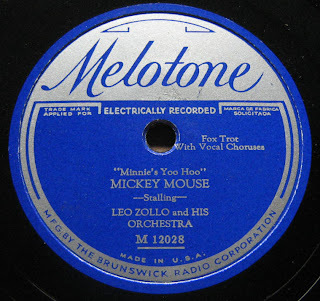 Leo Zollo & His Orchestra "Minnie's Yoo-Hoo"
- What-ho, Maniacs! The tuxedoes and evening gowns are back from the cleaners, the martinis are mixed, and our soirée is ready to begin. Why simply everyone will be here. I'm sure it will be the gayest event of the year! - What is it, Jeeves? - I'm afraid the orchestra won't be able to make it. Their motor-car ran into a tree. - Dash it all! Whatever will we do without music?! - What the devil are 'mashups'? - They are combinations of old classics from the likes of Peggy Lee, Duke Ellington, Louis Armstrong and Marlene Deitrich mixed with more modern sounds of Bob Marley, Beyonce, Muse, and various musics of an electronic nature. Many were produced in just these most recent months by a newcomer from the Netherlands named Okiokinl. Most ingenious, if I may say so, sir. - And who is this 'Fairtilizer' fellow you speak of? - Simply click on the link, click the 'Play' button in the box to the left (it should be "up in the cotton club") and all the songs will stream auto-matically. You can download them as well. - By jove, you've done it again, Jeeves! "This collection of mutant instruments turns conventions upside down. Hear unique melodies from the eigenharp (woodwind + drum + piano), the matryomin (theremin + Russian doll), a multi-stringed Experibass, and electronic monome. Huh? Just watch." We actually covered the matryomin before, and the new vid makes a further case for it's loveliness, tho that John Tesh-ish song is pretty corny. The quadruple-necked Experibass is struck with sticks, and "prepared" a la Cage with spoons stuck between it's strings, producing a fearsome industrial drone. Nice. Not sure about that eigenharp tho - it'll be cool if you can bring in your own sounds and not get stuck with their pre-sets. And the monome has a non-keyboard interface that kinda reminds me of the old kid's game Simon. These guys caused quite a stir back when their debut dropped in 1996 - covers of contemporary rock hits, most of the "alt" variety, performed on vintage electronics in a '60s Space Age style, with large dollops of humor. It could have just been a gimmick that might have been funny to listen to once or twice, but the tunes were expertly played, with quite the attention to period detail. Mucho clever touches abounded, as well. By the mid'90s, vintage Moog records had been rediscovered by the masses. (Lucky for me - I was able to re-sell records I'd bought for 50s cents for 50 dollars. Thank you, record collectors!) In fact, I saw The Moog Cookbook live at an event to honor Robert Moog himself, same show I saw Pamelia Kurstin. And yes, they wore spacesuits. 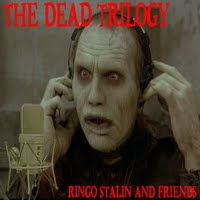 This album's out of print now, but you can still buy their genius second one, which covers "classic rock" hits. They released a third album (that you can buy here) independently a couple of years ago that gathers up all their previously unreleased stuff and remixes they did for other artists. 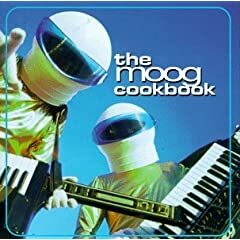 Labels: covers, Space Age/Moog/Theremin etc. RIAA's new album of mashups and cut-ups is some of the weirdest, wackiest stuff that they've recorded in the last year or two. Spike Jones, Roger Roger, old kiddie records, and rude sound effects mix with Neutral Milk Hotel, James Blunt and the soundtracks to "Psycho" and “Eraserhead”; '60s garage rock and Latin boogaloo collide with modern funky electro beatz. Karen Siegel "Confessions from the Blogosphere"
They also "sing an ode to a paper-training pet tortoise," as well as proper serious stuff. In the past, they've performed a piece based on dialogues from David Lynch's movie Mulholland Drive. Cool, hope they record those. Hey New Yorkers! They'll be performing this Thursday, November 19 at Holy Trinity Lutheran Church, and Saturday the 21st at Church of Saint Luke in the Fields (more info on their site). 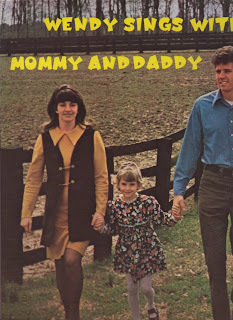 The Folmer Family w/6 year old Wendy: "Wendy Sings With Mommy & Daddy" - For you masochists, an entire album, featuring another version of "Something Happened To Daddy," and you must hear the ghastly, LOL-out loud "How Far Is Heaven," about Daddy dying! It's almost as funny as the album closer about the Rapture: "I Wish We'd All Been Ready." Nice stuff for small children to be singing. Yep, you read that right, that's the Charlie Haden, the legendary jazz bassist. The man who helped music explode with Ornette Coleman sang the above song at age two in 1939. Not as painful as the other tracks - it's short, and his attempts to yodel are pretty funny. 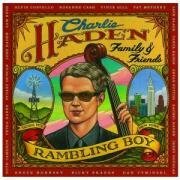 This is taken from his latest album "Rambling Boy," featuring his own family e.g. : famous daughter Petra. Thanks (or blame!) to li'l bro Paul Fab for the "Wendy" album. Behold! The above contraption is The Cybraphon, a marvel of mechanical music. Edinburg, Scotland's FOUND group have built a self-playing musical robot housed in a cabinet, but unlike other robo-musicians that we've featured here who play rock, jazz, or electronica, The Cybraphon takes an antique-garde approach in terms of both look and sound: "Inspired by early 19th century mechanical bands such as the nickelodeon ['player piano']...Cybraphon consists of a number of instruments, antique machinery, and found objects from junk shops operated by over 60 robotic components..."
Instruments include a Farfisa organ, chimes, an Indian classical instrument, percussion, and "...a purpose made vinyl record...cued robotically to play through antique brass gramophone horns." Cool, eh? But how does it sound? Great, actually. Listening to their two EPs (available on their site) is a kind of musical Turing Test - I sometimes forgot that I was listening to a robot and just enjoyed the music. Accordions aren't listed but something sure sounds like them in these tunes. Perhaps it's that "Indian classical instrument." "Image conscious and emotional, the band’s performance is affected by online community opinion as it searches the web for reviews and comments about itself 24 hours a day." So don't make The Cybraphon sad. Cybraphon cry. Last week when I was visiting Chicago I made a point to visit Intuit, the outsider-art museum. It's a fairly small spot, but it has a performance stage (Jan Terri played there years ago!) and an amazing store that has, among it's many wonders, some outsider music CDs. 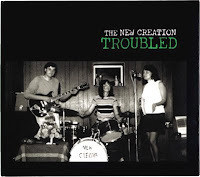 That's where I picked up the New Creation album "Troubled," a reissue of a phenomenal 1970 private-press (only 100 copies) "Jesus-freak" record from Canada. A mother & son combo (can't think of too many of those) + friends with only the most basic of technical skills but plenty of song-writing smarts, The New Creation's sole album is a charming chunk of garage-psych. It kicks off with a really weird 4 minute sound collage before launching into a song called "Countdown To Revolution!," reminds the squares that Jesus was a rebel ("The Status Quo Song"), and sing some folk-rock gems like "Yet Still Time" that may or may not have anything to do to with Christianity. Their stance on evolution in the posted song "Dig!" seems more bemused then anything else. It's a catchy tune indeed, probably because it borrows quite a bit of it's melody from the '50s hit "Red River Valley." Baba Brinkman (also Canadian, eh!) first appeared in these pages with his rap version of The Canterbury Tales. His new album "The Rap Guide To Evolution," (available from his site) is, well, just that. It's scientifically accurate, musically solid, even funny sometimes. But dealing with biologic al complexities can make the songs amazingly wordy, e.g. 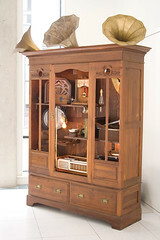 : the finely funky song posted, set at a dinner table as our hero tries to reason with a stubbornly unscientific family. I'm certainly aware of the large number of religious creationists out there, but the feminist who says gender has no basis in science threw me for a loop. Are there still people who think like that? I thought that was a relic of '70s hippie-dom. This year is Charles Darwin's 200th birthday, and the 150th Anniversary of the publication of the Origin of Species. So, to celebrate, he's on a world tour, singing all of his greatest hits. Actually, 'tis anthropologist Richard Milner channeling the great naturalist thu witty, upbeat original songs with rapid-fire rhymes that would give eminem a run for his money. I hear the likes of Noel Coward, Cole Porter and his admitted heroes GIlbert & Sullivan in such songs as "I'm The Guy (Who Found Natural Selection)." Corny? Nerdy? Well, of course. As it should be! 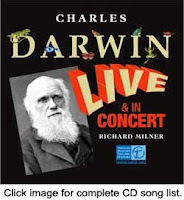 In fact, I'm looking forward to seeing him on his tour when he hits California later this month after playing London on the 10th (check his site for details, as well as to order his album Charles Darwin: Live & In Concert). He'll be at Caltech opening for best-selling writer Barbara Ehrenreich. Some folks go to dark, sweaty late night clubs. I go to Sunday afternoon shows at science university auditoriums. Oh yeah, that's how we roll 'round here at M4M. Don't mess with us! Richard Milner "Why Didn't I think of That" - "this one is sung by Darwin's friend Thomas Henry Huxley, kind of a Rex Harrison-like character. When he first read the Origin of Species, he said, "How stupid not to have thought of that myself." As he describes in this video, he started off as a typical academic, writing songs about science on the side. Now he performs an hour-long show outside of the classroom, all over the world. No, this will NOT be on the test - it's all in fun, tho a certain amount of learning might slip thru, and is there anything wrong with that? Anyone...anyone? Can I see some new hands? Visiting Chicago recently I snagged an exceedingly rare copy of a CD by outsider legend Jan Terri. This Windy City native was quite the sensation a decade or so ago, as I'm sure some of you may recall: after her jaw-dropping videos started making the rounds, she released two private-press CDs, started doing shows around Chicago, opened for Marilyn Manson, and appeared on Jon Stewart's Daily Show. After setting up a website in 2001, she announced that she was working on a third album, disappeared, and hasn't been in the public eye since. On this 1993 album, there's quite the contrast between her thin, off-key voice and the professional studio cats backing her with slick country pop and Van Halen "Jump"-esque rockers. She double-tracks her voice most of the time, but since she can't really hold a melody, there's a vaguely unsettling dissonance that runs throughout the whole album. Still, there's some lovely stuff here - "If You Want a Divorce" has a sweetness that suggests The Shaggs growing up and facing adult issues. "Losing You," one of her video "hits," is a catchy sing-along. "Keep on Knocking" is an uncredited Little Richard rip. Other songs are downright puzzling, with the absurd "Fax My Love" (check that title!) reaching such a level of dementia that it'll either convince you of Terri's genius, or have you running screaming out of the room, hands over your ears. Or maybe both. This page has both a more in-depth biography of Terri, as well as a video documentary. We were in Chicago for a friend's wedding. Only reception I've been to where the bride herself dj-ed from her iPod. So no "We've Only Just Begun" or Kool and the Gang's "Celebrate." Instead: James Brown deep cuts, The Trogg's "I Can't Control Myself," some salsa. When my wife told dj/bride that the Cuff-Links (their early '70s bubblegum hit "Traci" was playing) and the Archies had the same lead singer, and bride replied "I know, Ron Dante!" I could only beam with pride. 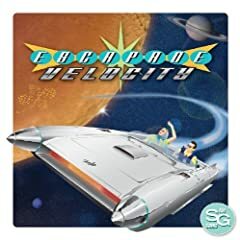 ...is how Los Angeles' The SG Sound bills himself, and the proof of such a bold claim is in the (digital) grooves of his fab-gear new album "Escapade Velocity" (also available on iTunes). The '90s lounge revival often meant ex-punk rockers donning tuxes and faking their way thru pseudo- swing, but Mr SG (aka Steve Greaves) has genuine professional soundtrack skillz to match his Mancini-esque ambitions, even doing tv spots for "Mad Men," appropriately enough. And he tells me that he was "heading to Vegas to hang out with Vic Flick (guitarist from the John Barry 7 who played the original Bond lick AND "Beat Girl!)" But he has the cheeky humor and sense of fun often missing from technically skilled but too-serious jazz cats. As he mentions in this interview, Greaves doesn't like the term "lounge." Can't blame him, but I hope he doesn't mind me lumping him in with that genre with my clumsy labeling method. Alen Robin, a comic with a droll, very nasal voice, took the Buchanan & Goodman "Flying Saucer" concept - intercutting found recordings with original comedy - and applied it to political speeches. His "Welcome To The LBJ Ranch" hit the top of the pops in the mid '60s, and can be found in approximately 84% of American thrift-stores. 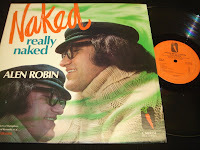 This album continues the concept into the '70s, with American politicos Nixon, Humphrey, Rockefeller, McGovern, Agnew, Kennedy and Lindsay finding their voices ripped out of their original context, now making various bizarre and neurotic statements to Robin, playing their psychiatrist. It's still quite funny and clever, even if you don't know much about the speakers. Even more impressive: it's recorded live. Not sure how he did it in the days before laptop samplers. Maybe he had all the voices, and pauses allowing for him to speak, pre-recorded on a long tape (this album's a little over a half-hour long). If so, his timing's amazing. Alen Robin "Naked, Really Naked"
Steven Garrick & His Party Twisters "Astro Twist"
Buchanan and Goodman "Flying Saucer the Third"
The Rezillos "Flying Saucer Attack"
Go Home Productions "GHP Goes Bananas"
White Noise "Here Come The Fleas"
Ray Allen & The Embers "Ham The Space Chimp"
Man in Orbit "The Space Men"
Spike Jones "Spooky Spooky (Lend Me your Tomb)"
Colonel Elliot and the Lunatics "Plutonian Pogo Stick"
dj BC "I'm Happy (On Sesame Street)"
James Houston "Big Ideas (Don't Get Any)"
Sid Lawrence & Friends "The Answer to The Flying Saucer"
The Ames Brothers "Music From Outer Space"
Yodeling Bob Lewis "Ghost Riders in the Sky"
Clouseaux "The Toy Store of Tomorrow"
Kazoo Funk Orchestra "The Jagables"
The Flesh Eaters "See You In The Boneyard"
Elvis Presley "Rock a Hula Baby"
Alan Freed, Steve Allen & Al 'Jazzbo' Collins "The Space Man"
Sad Kermit "The Rainbow Disconnection"
The Bran Flakes "Don Knotts"
Wendy Chambers (on the Car-Horn Organ) "Star-Spangled Banner"
The Missiles "The Space Ship"
Jim 'Supersaw' Leonard "Your Song by Jim Leonard"
Tony Perkins "Rocket It To The Moon"
Mickey Katz "Nudnick The Flying Schissel"
sTallio! "The Future Sound of Retro"
L. Ron Hubbard "March of the Psychlos"
Jim of Seattle "Welcome To Windows". 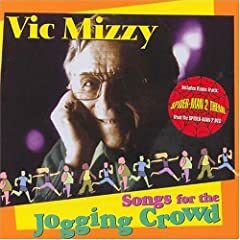 Vic Mizzy just died at age 93, so let's listen to his now out-of-print album of (mostly) new songs he just recorded a few years ago. Apart from versions of two of his most famous TV theme songs, "The Addams Family" and "Green Acres," he sings original, mostly light-hearted songs about his everyday life - ladies playing tennis, his Hollywood social circle, barbecuing, some sentimental songs, and yes, jogging. From his liner notes to his ode to running, "The Huff and Puff Song" (one of the album's catchiest tunes): "...with my pacemaker recently installed and further refined to change the arrhythmias, everything I was composing lately began sounding like a tango. And so I wrote this song." We don't hear much music about elderly life cuz that's considered uncool, and musicians are supposed to remain young forever - hence, the Rolling Stones-like look of dyed hair and personal-trainer-thin bodies. So if Mizzy wasn't a Hollywood legend, it's doubtful that anyone would put have out this charming album, especially with his singing voice, which is more like an old vaudeville comedian croaking out a routine then a "real" singing voice. But I'm glad it was released. The simple bouncy songs make Mizzy sound less like a music pro then a genial grandparent on his electric keyboard singing to you in his living room, e.g. : his version of the "Green Acres" theme isn't a remake - it's just him singing over the original version! 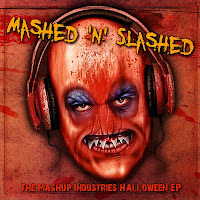 British producer Cheekyboy usually compiles a "Monster Mashup" various-artists collection, but not this year. That's okay cuz he has a batch of new Halloween tunes, and has made all the old collections available again (tho some of the artists will probably cringe at the thought of those tracks from back in '04 being raised from the dead!). This new Cheekyboy tune is ace, featuring the "Halloween theme, Vincent Price, Steve Miller and more...."
Cheekyboy "Halloween Royale With Cheese"
Presenting a 16-song collection for a Caribean Hallowean. A (mostly) '50s-'70s Afro-Latin-Reggae-lypso Halloween, to be precise, including, as usual, some out-of-print obscurities recorded off vinyl. Apart from the monster songs (I guarantee King Horror WILL be your new favorite artist) there's some weird psychedelic tracks that have a dark, evil voodoo vibe to them. Carl McKnight "The Devil's Out Tonight"
King Horror "Dracula prince of darkness"
Lord Melody "The Creature From The Black Lagoon"
King Horror "Loch Ness Monster"
The Mighty Sparrow "Madame Dracula"
Johnny Zamot and His Orchestra "Spaced Out"
Augie Colón - "Witch Doctor"
Peter Tosh - "Dracula (Vampire version)"
The Voodoo Trombone Quartet - "Monster Island"
King Flash & Calypso Carnival - "Zombie Jamborie"
UPDATE 10/13: A real cool ghoul, Paul Dobry, has put this collection up streaming on grooveshark. Fangs a lot, Paul!